Now that we are into the fall season and the farmers markets and produce isles are full of fall produce and inspiration. I thought I would round up some tips on money saving ideas, tips for what to look for, and a fun new recipe that will help you as you transition into the fall foodie mentality. Tip 1 - Buy in season, which should make sense, but a lot of times finding out what is in season in your area can be challenging. I found this site that you can click on your state and it will show you whats in season monthly. Tip 2 - Not all organics are equal and all of them usually cost a pretty penny. Here is a list of produce that you won't want to skimp on when decided what to buy organic or not. Tip 3 - Here is a list of some of my favorite fall produce and why they should be items we look to add to our cooking arsenal. Arugula is a cool weather peppery green harvested at different times in different places (winter in warm climates, summer in cool ones) but grows in many places during autumn. Brussels sprouts grow on a stalk, and if you see them for sale that way snap them up - they'll last quite a bit longer than once they're cut. 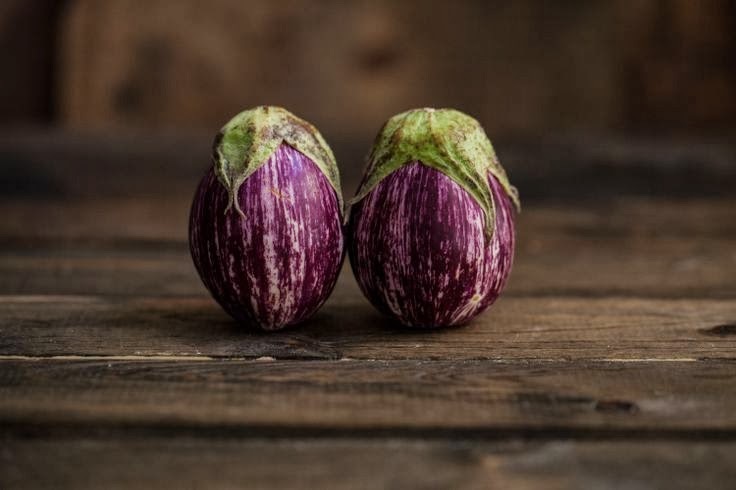 Eggplant (early fall) comes into season towards the end of summer, but bright shiny heavy-feeling specimens stay in season well into fall. Garlic is another produce item that we forget has a season; fresh garlic is at its plump, sweetest best in late summer and fall. Green beans tend to be sweetest and most tender during their natural season, from mid-summer into fall in most regions. Kale is like all hearty cooking greens - cooler weather keeps it sweet. Pumpkins are the most common winter squash and come into season in September in most areas. Winter squash of all sorts comes into season in early fall and usually last well into winter. Zucchini have a harvest season from summer into fall in most climates. Tip 4 - When you are at the store here are some no brainer money saving ideas. * Buy (organic) meat in bulk when on sale. You can freeze and have on hand when needed. * Splurge in the produce isle, and make veggies the star of the meal. * Don't throw money away, look for ways to use every bit of your food so that none goes to waist. 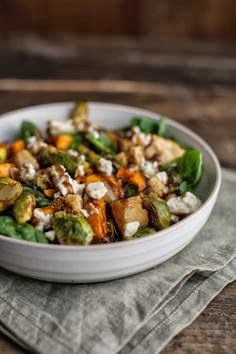 Tip 5 - Fall Cornbread Panzanella Salad with Maple-Mustard Vinaigrette - fun fall recipe from a great blog with wonderful creative ideas that inspire your taste buds.